AMSTERDAM - The International Criminal Court is in indirect contact with slain Libyan leader Muammar Qaddafi's son Saif al-Islam about the possibility of surrendering for trial, the chief prosecutor said Friday. Luis Moreno-Ocampo told The Associated Press talks are being held through intermediaries whom he did not identify. He also said he did not know exactly where Saif al-Islam Qaddafi is. The prosecutor said he believes unidentified mercenaries also are offering to find refuge for Qaddafi in an African country that does not cooperate with the court. He mentioned Zimbabwe as a likely possibility, and said the court was in contact with other countries to prevent his escape by denying overflight permission to any plane carrying him. The 39-year-old son Said al-Islam was indicted in June for inciting crowds to murder during the early stages of the Libyan revolution. 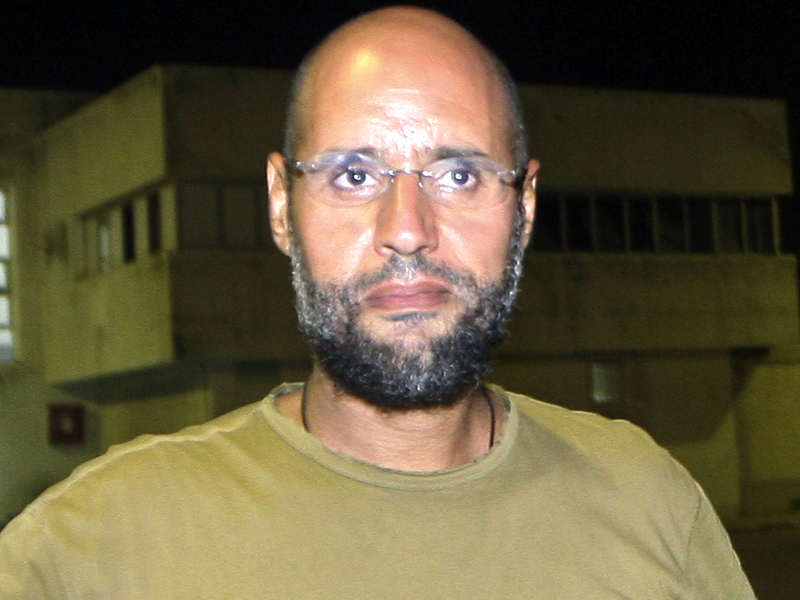 Saif al-Islam reportedly entered crossed into Niger from Libya Thursday, according to unnamed official in Libya's transitional government. "There is a contact with Mali and with South Africa and with another neighboring country to organize his exit ... He hasn't got confirmation yet, he's still waiting," the official told Reuters. Earlier Thursday, an adviser to Niger's president said that Qaddafi's intelligence chief, who is wanted by Interpol, crossed through Niger into Mali. The official said at the time that Saif al-Islam was following the same route. Meanwhile, NATO has announced it will end its air campaign over Libya next Monday, following the decision of the U.N. Security Council to lift the no-fly zone and end military action to protect civilians. NATO Secretary General Anders Fogh Rasmussen said on Friday that the operation was "one of the most successful in NATO history," one which was able to wind down quickly following the death of former Libyan leader, Moammar Gadhafi.